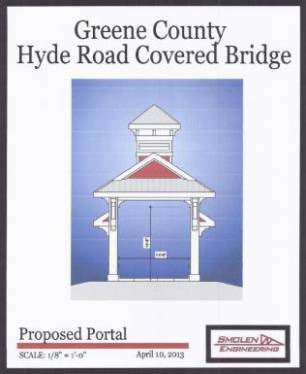 In January of 2013, the Hyde Road Bridge outside Yellow Springs on the Little Miami Scenic Trail was removed due to safety concerns. After an inspection determined the bridge was no longer safe for traffic, the county closed the bridge and dismantled it, making way for a new covered bride to be built in its place. 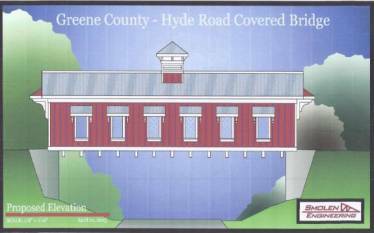 The Hyde Road Bridge may have been built as early as 1840 to span over the railroad and now forms an overpass above a bike path. In January of 2014, Portland Bolt manufactured a variety of timber bolts, hex bolts, timber spikes, lag screws, and high strength threaded rods for the construction of a new covered bridge that will replace the original Hyde Road Bridge. The parts were also hot-dip galvanized in our 94,000 square foot manufacturing facility to prevent corrosion. Since federal funding was involved in this project, it required 100% domestically manufactured materials. Portland Bolt stocks a full line of domestic nuts, washers, and other accessory items to compliment the bolts we manufacture in Portland, Oregon. Do you have a federally funded project that requires domestic fasteners? We manufacture and ship our American-made bolts all over the country… and around the world.